Temps d’Afrique, the African dance troupe on campus, is known for their explosive performances and stunning visual displays. The team’s annual showcase, this year entitled The Beautiful Struggle, took place in Shiver Hall on April 15th. The Beautiful Struggle aimed to explore “the uncomfortable aspects of the human experience and how we deal with those aspects in both positive and negative ways”. This exploration extended beyond the stage and onto campus. Temps d’Afrique engaged with spaces of cultural memory on campus through art in Shriver Hall and Homewood House. The student body first got a glimpse of what the showcase would hold through the promotional video shown on the ORCA network, the screens that play student ads in various public areas on campus. The video began with team member Jane Ogagan posing for a photo shoot. As it progressed, the scene switched to the Shriver Hall murals. Each mural flashed onto the screen for a moment in its original form, then was transformed. Figures were covered in African fabrics, and bright prints lit up the background of each scene. The “Beauties of Baltimore” went from having a demure garden party to participating in a raucous gathering. At the end of the video, the only non-white figure in the murals, a servant far in the background behind the beauties, was put into a traditional European picture frame as the rest of the mural went dark. Co-Creative Director Jamie Pierce said that the video was meant to serve a variety of purposes in addition to promoting the showcase. One was to act as a commentary of the prevalence of portraits of white men on campus. Another was to take images of success from period works and put an African spin on them, since the lifestyles of the wealthy Baltimore elite were only made possible through the work of slaves and servants. This was not the first intervention with the murals in recent years. Last spring, Dr. Elizabeth Rodini’s class Introduction to the Museum: Issues and Ideas created didactic material for the murals, exploring portions of the complicated social and racial history surrounding the artwork. Various blog posts by internal and external sources have addressed the history of the murals as well. However, this intervention was the first artistic foray into the heart of what the murals really represent on campus in the present day, rather than the historic elements of the works, and the impact of their presence on the student body. The work on the murals led up to the main film project for the showcase: shooting the opening sequence of the show at the Homewood Museum. The showcase program stated that the performance was “meant to create a space for African culture among the common images and European ideas of aristocracy”. 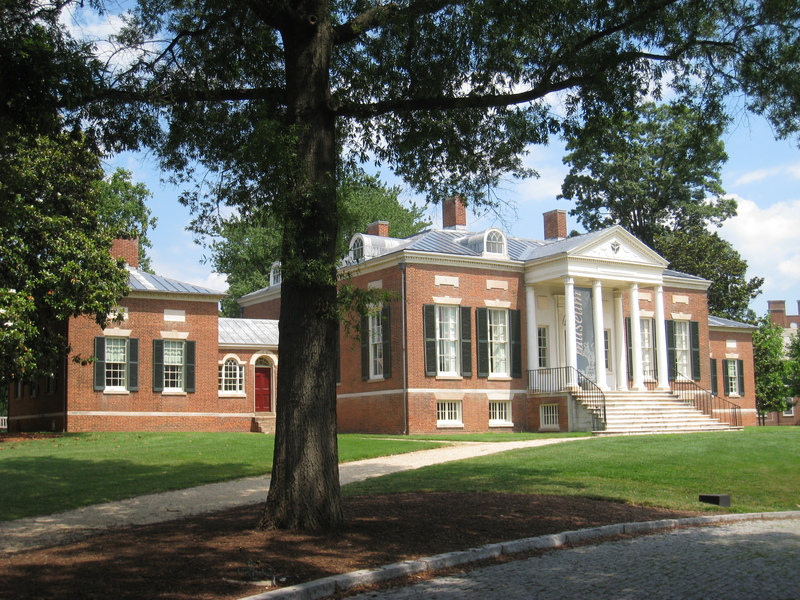 The history of the Homewood Museum is not a part of daily life for most students on campus, but if students are to know anything about the house, it usually involves the narrative of slavery. The Temps d’Afrique showcase aimed to recognize the history of the museum and confront it directly through art. The filming took place before the museum opened on a Sunday morning in April. Interim director Heather Stalfort gave a brief tour of the house and explained the function of each room before filming began. In each room of the house, members of the team posed wearing brightly colored African prints and assumed the role of aristocrats. In the dining room, seniors Ashley Ezema and Victoria Buckman held hands as they gazed towards the camera. In the drawing room, the entire team alternating between laughing together and posing as if for a portrait. In the room where Harriet Chew dressed and bathed, Mani Keita was attended to by a white servant who helped her dress, did her hair, and picked up after her as an enslaved woman would have cared for Harriet. The team was poised and enigmatic, and lit up the space. During breaks, they spoke about the experience of filming in the house and what it means to have spaces of cultural memory on campus with controversial pasts. Junior Colette Uche said that the performance was a way of “reclaiming how bodies are seen and used in this space”. She described the experience of standing where the slaves of Homewood had lived and worked as “eerie”. Ezema saw the performance as a way to “highlight overlooked spaces on campus while showcasing culture” and re-appropriate the space. Keita noted that the house museum, unlike the inflammatory Shriver Hall Murals, can go unnoticed without offending anyone. Team members concurred that few students notice the house or read the signage on campus, and that awareness of the space needed to be found in a different way. This has been a common thread in student discussion on campus, and the work with arts groups such as Temps d’Afrique may present a possible solution to this problem. The video was shown at the beginning of the showcase on April 15th. As each team member appeared in the video, the crowd went wild. Though only a minute long, the themes of celebration and reclamation came through clear. Captain Kemi Oguntona remarked after the showcase that a specific space to talk about struggle wasn’t integrated into the arts, and the performance was a way of creating that space. The performance at Homewood, though only one facet of the showcase, demonstrated the power of addressing struggle through art and the new light it can shed on worn-out discussions of campus history. Temps d’Afrique’s performance at Homewood represents a new chapter in the history of student interaction with Homewood. While past student projects focused exclusively on the history of the house and pushed for recognition of the enslaved individuals at Homewood, Temps d’Afrique explored directly what the historic home means in the present, especially for students of color on campus. Temps d’Afrique’s use of art to discuss what the building means for students at Hopkins moves the discussion from a matter of history to a matter of empathy and expression, and represents a masterful template for exploring complicated narratives that persist on campus. I would like to thank the members of Temps d’Afrique for allowing me to join them during filming!